The United States is seen as the world’s power hub and as such, her president influences not just America but other countries of the world. This is why other countries are interested in the U.S presidential elections because one way or the other, all and sundry is usually affected by the result of the election. Over the years several citizens have seen themselves as worthy of leading the people of America, and truth be told, a handful of these candidates were a ridiculous pick.The cartoon series ‘The Simpsons’ once predicted that Donald Trump would one day be president. Guess they saw it coming long before we did. This allegedly bizarre man seems to be the loudest among his co-runners, but does that make him a better candidate? That can only be determined by the voters after the 2016 election. However, there are some other unorthodox candidates who didn’t see how ridiculous it was for them to run for U.S president. Let’s meet them – Weirdest Candidates To Run For President. Residents of New York City/New Jersey region must have been shocked to see numerous sign posts of Jeff Boss running for 2016 US President again, after loosing out on the 2008 and 2012 elections. The democratic candidate and conspiracy theorist is most known for his claims that the terrorist attacks which occurred on September 11, 2001 were planned and executed by members of the US government – the National Security Agency to be precise. He claims to have witnessed the government arrange the attacks and if he becomes the US president, who knows what more attacks he would witness. Running for US President is not just an act of bravery, it is bravery itself and Lee is making the world believe he is brave enough to lead. As part of his campaign strategy, Lee made the following claim: “The Ashtar Command star-ship saucers will land on all streets. This will happen on January 20th, 2017. This will not occur sooner.” A guy who has the confidence and audacity not just to think outside the box but to voice it out to billions of people world-wide, is worth complimenting. All the fun and games will be over on January 20 of 2017 if Lee is proven to be correct – till then, can the world just elect someone not on this list already. Homer Aubrey Tomlinson was a Bishop who planned to crown himself King of the World or “King of All Nations of Men” in Jerusalem on October 7, 1966. He founded the Theocratic Party and had been its candidate for U.S. President since 1952. Too bad, after his death, Tomlinson was never recognized as royalty by any functioning government, quite the show of disrespect for such a king. Earl Browder was a legitimate political figure in the 1930s and 1940s. He was a communist and the leader of the Communist Party USA and that was a hurdle he couldn’t overcome to become a US president. The fact that he was an alleged secret Soviet agent running for president did not also help his cause. Browder would have certainly been a president unlike any other but it was just not meant to be – he wasn’t born to lead the world. The impaler, Jonathon Albert Sharkey is a professional wrestler who has run for office on multiple occasions, but is yet to gain victory. President Impaler sounds like a man who would get things done by smacking his subjects on the face, and who would also command the respect of other world leaders by intimidating them with the sharp edge of his sword. Truth be told, President Sharkey would take WWE to the next level. It’s a world of humans, but surprisingly, some bunch of people endorsed an animal to run for presidency. In a crazy world filled with stories of lions being hunted by dentists, and Bruce transforming to Caitlyn, anything is possible. But for a high school student to launch a website and then campaign for a cat – that is absolutely an insult to the human race. Limberbutt McCubbins is not the first animal running for President, and will not be the last, but no matter how free a world the US is tuning into, it would be sickly for its citizens to vote in a senseless cat to lead sane humans. Brady C. Olson popularly known as Deez Nuts is a satirical candidate running in the 2016 United States presidential election. His form to run for office was filed with the Federal Election Commission in late July 2015. In polls conducted in Iowa in mid-August 2015, he polled at 8, 8 and 9 percent respectively, gaining the attention of the media. He would fit in for the president of Limberbutt McCubbins’s district, but unfortunately, both of them are contenders for the US presidential seat. July 2015 signified the beginning of the end of Hulk Hogan’s public careers as a wrestler. 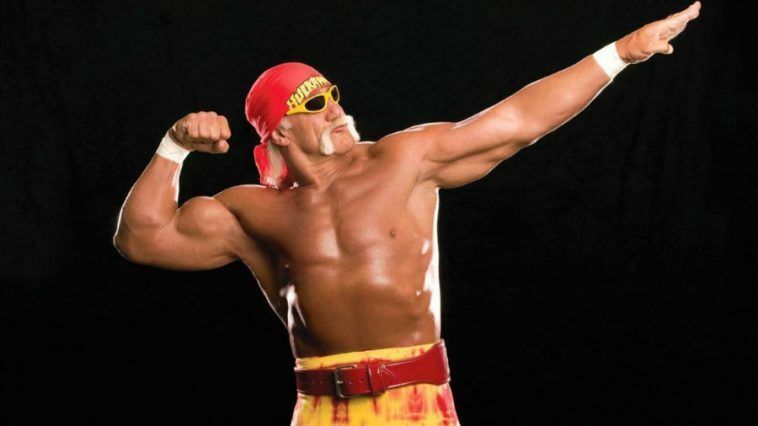 Hogan was fired by World Wrestling Entertainment and essentially scrubbed away from that company’s history after he made some controversial, racist and hateful comments. President Hulk Hogan seemed to be a real possibility in the 1990s when he announced his candidacy during an episode of the Tonight Show. It was a publicity stunt, but he must have had his head deep in such dreams – who wouldn’t want to sit on power and influence? Roseanne Barr may not be the US President that you want, but the actress and activist could have been the female president America never had. Roseanne launched an interesting campaign for the 2012 election, choosing to run for both US President and also Prime Minister of Israel. She was unsuccessful in her pursuits which is a shame because of the multiple possibilities that could have arisen had Roseanne been elected. Wondering why he is on this list? – The word BIZARRE defines him perfectly. It’s not absurd though that Donald Trump is once again running for president of the United States. What is alarming is the increasing number of people who are seriously considering voting for him this summer. The supposed legitimate Republican candidate is the most talked about presidential candidate all over news and he has made quite a number of controversial statements over the years and as a presidential candidate.